Irma and Albert Voorn vof is situated on 14 Graskuilenweg in Sevenum, a village in the municipality of Horst aan de Maas, in the province of Limburg in The Netherlands. Albert Voorn is specialized in the training of showjumpers, giving clinics, instructing riders with their horses at home as well as abroad. This afternoon Tobalio has left our stables. We like to thank Mr. and Mrs. G. Fisher Sr. very much for the three seasons we have been able to experience with Tobalio, thanks to you! And we hope that he will come back to us soon! Last weekend we participated in the CSI 5 * of 's Hertogenbosch! This was our last concours with Tobalio, and again he was awesome! In the morning Albert finished second with 1.40m, two phases. With the victory at the 1.50m Interfloor Price on Friday night during ICNN Drachten Albert's weekend can not go wrong. He won the barrage (thirteen participants) with Tobalio (Numero Uno), who's mind was one hundred percent at work and was really fast. 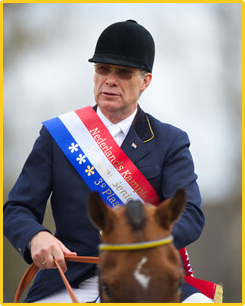 BEST DUTCH NATIONS CUP HORSE 2013! Last weekend (11-13 Oct), we participated the CSI 2 * in Assen. In the Grandprix Albert was double 0 and sixth with Tobalio. With this result Tobalio ended a great season and he gets his deserved rest upcoming winter. During the weekend from 4 till 6 Oct we took part at the National Concours Hippique in Geldrop. Albert was second with Tobalio during the Grandprix. In La Baule (France) the Dutch team managed to stay ahead of their opponents and ended on a deserved first place. Albert can look back on a strong performance of Tobalio and because of this the Netherlands dominated in this Nations Cup (CSI 5*). Last weekend we had a great result with Tobalio during the National Championships in Mierlo. We finished third in the Championship and we were glad to recieve the bronze medal. 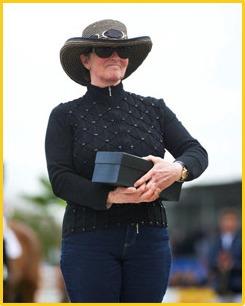 In Hickstead (CSI 5 *) in England, the first prize this time went to Irma, where she was the best caretaker of the concour. 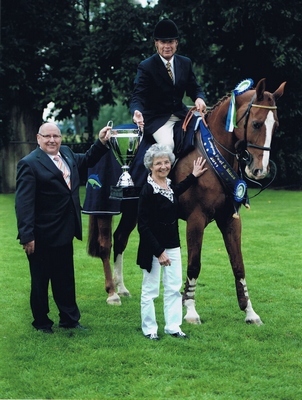 It was the 'Horse Health Horse Mastership Trophy' of the 'Logines Hickstead Royal International Horse Show 2012'. Meanwhile, our horses jumped very well; EuroCommerce Lexington was 3 days faultless and was placed 3 times. Tobalio was the first round NC 0. The second round 2 errors. The Olympic dream is shattered. 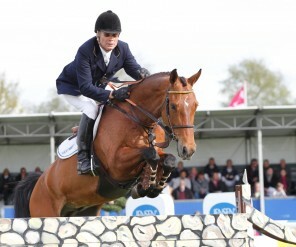 Jumper Albert Voorn is not selected for the Rotterdam and Aachen's CHIO. "And with that, it is impossible to go for the Olympics," said a disappointed Voorn. "I asked coach Rob Ehrens if I might go to Aachen when staying errorfree in all courses at Rotterdam and staying with the 5 best in the Grand Prix. The answer was no, you do not jump in Aachen. After my performance in De Steeg, I was 100 percent sure that I would ride in Rotterdam. But the coach decides. Very unfortunate. " Last weekend the CSI 3 * Outdoor Gelderland was held. We had a great concour. Albert came out with Tobalio, Euro Commerce Lexington and the third horse Curtis. 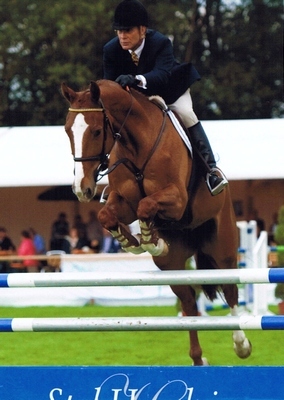 With Euro Commerce Lexington, he was once fourth (two phases) and once 2nd in 1.45m (two phases). In the GP, he was with Tobalio third (double 0). The past two weeks we have been to concourses in southern France, with the horses Eurocommerce Lexington and Tobalio (Eurocommerce stables). These two concourses together had five ranking tests. 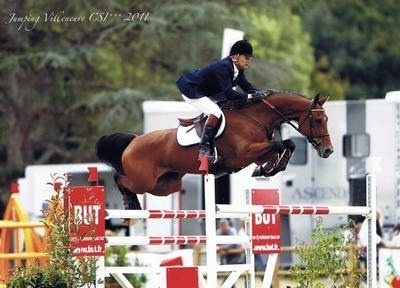 The first weekend of sept. (9-11) was the CSI 2 * in Castres. 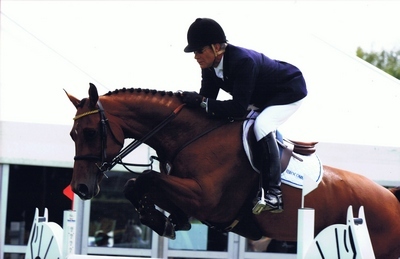 Eurocommerce Lexington debuted as the first time in the 1.45m and he was fifth, double-0. In addition, he was 12th in another trial. Tobalio, who jumped a light tour was once fourth and fifth. So it was a successful concours. The second weekend of sept. (16-18) was the CSI 3 * Villeneuve sur Lot. Eurocommerce Lexington was there in two 1.40m tests twice fifth. Tobalio did the ranking tests: Saturday was the second in the 1.50m (on time). Sunday he won the Grand Prix, which was held in two rounds. So it was a very successful trip; the horses have jumped great! During the CSI 2 * in Roggel Lexington Eurocommerce was fourth in the 1.40m on time last weekend. Thus qualified for the Small Grand Prix, and in this small GP he was 10th. Tobalio of Eurocommerce stables was errorfree in time in the 1.45m and was third. This was the qualification for the Grand Prix on Sunday. During the GP he was errorfree in the first round. In the jump off he had two jumping faults but was still 15th. The second week of Valkenswaard 12 t/m 14 of augustus was once again very successful. Eurocommerce Lexington was once first and once third in 1.40m. Tobalio of Eurocommerce stables was third in 1.45m, double null. This weekend we will participate at the CSI 2 * in Roggel with Eurocommerce Lexington and Tobalio of Eurocommerce stables. Then a few weeks concour rest for the horses. Last weekend we had another great concour. We participated in the CSI 2 * CH of Valkenswaard. Eurocommerce Lexington was the first day second in the 1.35m. Tobalio from the Eurocommerce stables was placed at all sections and became 5th in the GP. Next weekend we will start again at the CH CSI 2 * in Valkenswaard. At the magnificent accommodation of Stal Hendrix in Kessel Eurocommerce Lexington won the breedercup last Thursday (July 28) for his breeder the van Enckevorts family. The breeder club Ysselsteyn celebrated their 25th anniversary including a jumping between horses bred by the members. A total of 28 horses started in a jumping contest held in two phases with disabilities from 90 cm to 1.35m. Eurocommerce Lexington came at the start in the 1.35m and won convincingly. 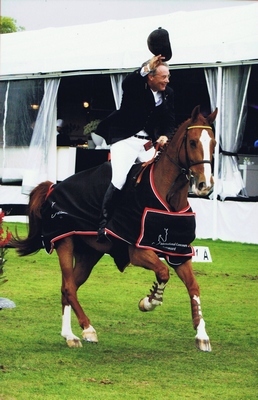 Last weekend 14-17 of July '11, we participated in the CSI 2 * CH De Wolden in Veeningen. Again another great weekend. The horses jumped fantastic. With Eurocommerce Lexington we started the second and third day the 1.40m with the result of null errors and once a mistake. Tobalio won the first day the 1.40m, was once third and in the GP he was third. Albert was the best Dutchman. We have been away for several weeks now and our animals deserve a few weeks rest. In August we will again participate. The weekend of 7-10 of July '11, we traveled to France, to the ski-resort, La Clusaz. We have participated there in the CSI 2 *. It was a great week. First of all, the place itself (in the mountains), it was great! The concour was quite different from where we normally used to go to. Besides that our horses did a terrific job. We had six starts and were placed four times. Albert with Tobalio of stable Eurocommerce was the best Dutch again during the GP. Last weekend Vincent participated in the National Outdoor CH Zealand. With Venity he was second in the 1.40m. With the same horse he won the Grand Prix on Sunday 1.40m.